A team of American and Russian physicists have created a new, super-heavy element, filling in a gap in chemistry's periodic table. Researchers working at a particle accelerator at the Flerov Laboratory of Nuclear Reactions in Dubna, 120 kilometres north of Moscow, created six atoms of element 117. The discovery fills in the gap between the previously synthesized elements 116 and 118, meaning all the elements with atomic numbers between one and 118 have been observed. "During a long (half a year) experiment, six events of the 'birth' of the new element were registered," A.N. 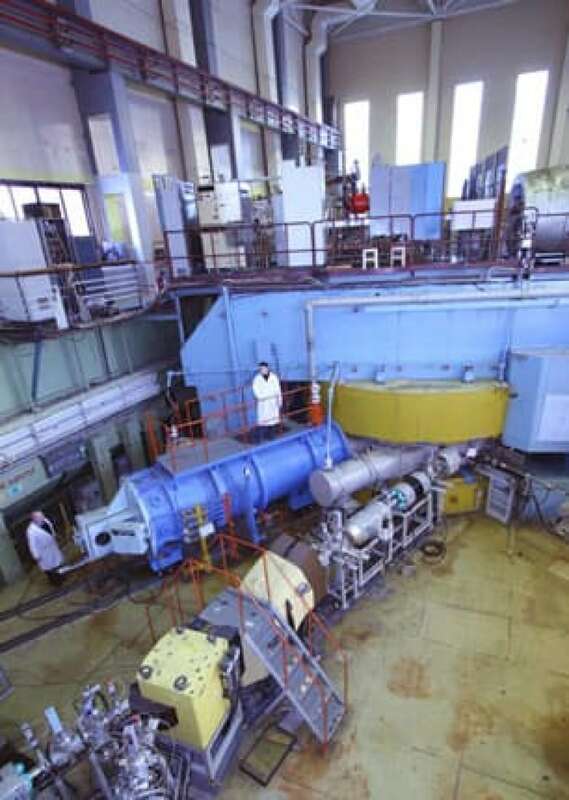 Sissakian of the Joint Institute for Nuclear Research in Dubna said in a statement. The element — which has no formal name but is known as ununseptium — was created by accelerating an atom of calcium (element 20) in a cyclotron and smashing it into an atom of berkelium (element 97). Berkelium is itself an artificially produced element. Researchers at the Oak Ridge National Laboratory's High Flux Isotope Reactor in Tennessee synthesized 22.2 milligrams of the element and shipped it to Russia for the experiment. The particular isotope of berkelium used has a half-life of 320 days, meaning that in less than a year, it loses half of its mass to radioactive decay. Each of the six atoms of element 117 decayed in a fraction of a second. The research, published Friday in the journal Physical Review Letters, is providing more evidence that heavier isotopes of artificially produced elements will become more and more stable, a theory called the "stability island." "The properties of a decay of an isotope of the 117th element and its daughter products … together with the isotopes of elements 112-116 and 118 synthesized in Dubna before, are the direct proof for the existence of the 'stability island' of super-heavy nuclei," said Sissakian. Element 117 won't likely get a formal name any time soon. In March, element 112 became the latest element to get a formal name from the International Union for Pure and Applied Chemistry: copernicium, symbol Cn. It was discovered in 1996.